The Shoal of Time is the eighth book in the Micky Knight series, and it's probably been one of my favorites so far. That's saying something: Micky Knight herself is one of my favorites; I've been following her adventures since I was a baby gay and have a real affection for her. Here’s the premise: Micky’s approached to do some introductory, unofficial work for some city slickers who want a sense of the lay of the land. They’re investigating a human trafficking case, are unfamiliar with the territory, and want Micky to show them around / answer questions about what the best spots for human trafficking these days are. Point person on this case is a super foxy lady, and since Cordelia’s corporeal form isn’t anywhere to be seen in this book (though she is nonetheless all over it), that serves as an additional incentive for Micky to lend a helping hand. If you know what I mean. Ahem. Most of this review will have to be under a cut for massive spoilers, but I will say this: The Shoal of Time makes a few interesting decisions that set it apart from the rest of the Micky Knight books. On the level of plot, the bad guys are relatively easy to spot. However, since Micky is going it alone for most of the book – she misses it. This is the other interesting decision I think Redmann makes; in a series that has a ton of well-loved (and well-developed) characters, most of the supporting cast is out to lunch in this one (Cordelia, Alex, Joanne, Torbin, Andy). This was what I struggled with most in The Shoal of Time. The bad guy(s) are painfully, painfully obvious, almost right from the get-go. And it is incredibly difficult to watch a character you love lie to herself over and over and over, as well as make incredibly bad choices. Because I know Micky knows better! Anyway. Like I said, this has been my favorite of the Micky Knight books; I’m looking forward to seeing what happens in the next one, and in the meantime, am super hungry for a po’boy. Should you read this? Yes. But you should read the other seven books first. Thanks to Netgalley for an ARC of this book in exchange for an honest review. I was super stoked to get my hands on this one, you all. 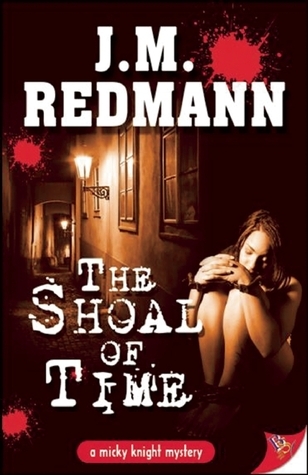 Sign into Goodreads to see if any of your friends have read The Shoal of Time.